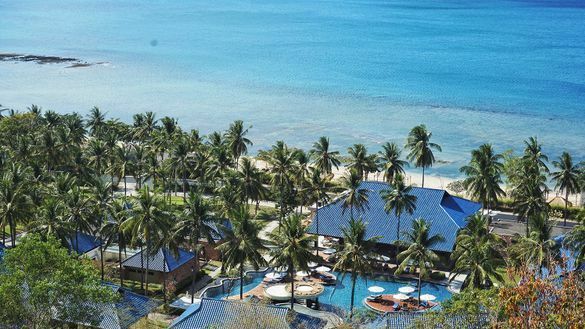 “Lombok is a wonderful destination – recent relief efforts perfectly demonstrate the warmth and kindness of the Indonesian people – and I have no doubt it will make a total recovery,” said Mr Joon Aun Ooi, President and Managing Director, South East Asia and Pacific Rim, Wyndham Hotels & Resorts. For a limited time during its soft-opening phase, Wyndham Sundancer Resort Lombok is offering an opening special with 40 per cent off Best Available Rates. Book at www.wyndhamhotels.com. All Wyndham hotels participate in Wyndham Rewards, the simple-to-use, revolutionary loyalty program from Wyndham Hotels & Resorts. Named a best hotel rewards program for the past three consecutive years by U.S. News and World Report, Wyndham Rewards® offers members a generous points earning structure along with a flat, free night redemption rate—the first of its kind for a major rewards program. Members earn a guaranteed 1,000 points for every qualified stay and, through a long-term partnership with Wyndham Destinations, can redeem for a free night at any of more than 25,000 hotels, condos or homes around the world for just 15,000 points per room per night. Join for free today at www.wyndhamrewards.com.